Chardonnay Artichoke Salsa - Mild. It begins with farm-fresh artichoke hearts, coarsely diced, then blended with fresh, ripe pear tomatoes, carrots, onions and the perfect blend of peppers, herbs and spices with a splash of chardonnay wine. 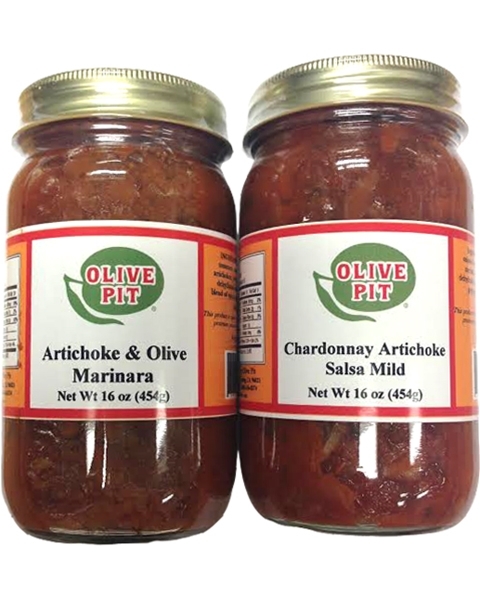 These versatile salsas are great as a dip as well as on pasta, rice dishes and on your favorite casseroles. Enhance seafood dishes, spice up breakfast and spoon over omelettes.